Don’t let the haters tell you different: Self-love is a radical act, especially in the social media age, when it seems everything has been filtered and edited beyond recognition. And the stakes are even higher when you’re battling a debilitating skin or health condition and you bravely choose to share that journey with complete strangers. Social media influencers Jordan Younger, Mercedes Matz, Nitika Chopra, and Charreah Jackson know this all too well. 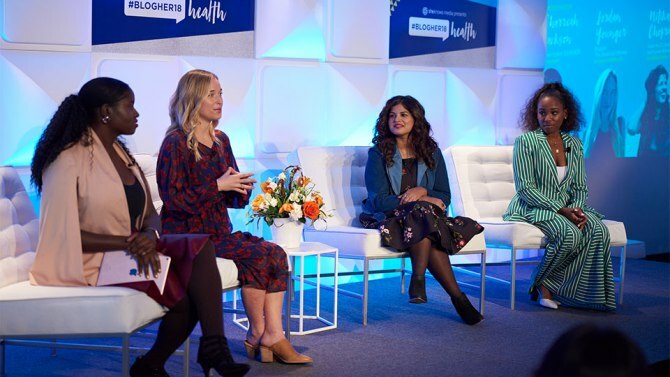 While speaking on the #LifeUnfiltered panel at the BlogHer18 Health conference in New York City, each woman (including Jackson, moderator and cancer survivor) opened up about living with a unique health condition and the impact it ultimately had on her personal journey. Collaboration and sharing are often the benchmarks of a successful online venture, but as it turns out, they’re also an integral part of personal development too. In short, speaking up is never a bad thing. For instance, 23-year-old Matz admitted to letting her lifelong struggle with eczema keep her from sharing her true self, both online and with friends. It wasn’t until joining Dove’s recent Make Peace with Dry Skin campaign, where she fronts the brand’s new DermaSeries collection, that she was able to get fully real about learning to love her skin. 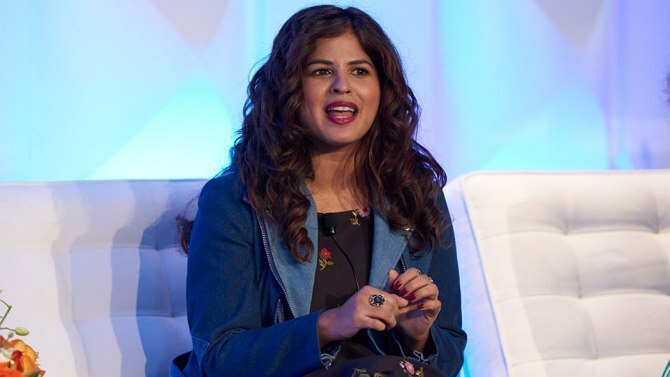 Chopra, a celebrated lifestyle expert and chronic illness advocate, has been blogging for almost a decade, but she also spoke on the power of sharing her journey with both psoriasis and psoriatic arthritis. After years of feeling bad for herself, she simply chose to do the opposite, and although it took some time to adjust, she’s amassed a huge following by encouraging others to do the same. “Self-love is being more committed to your happiness than to your suffering in every single moment,” said Chopra of her aha moment. And while these ladies experienced a “coming-out” of sorts about their struggles, Younger found herself doing the same thing, but only after creating a hugely successful business that ultimately led to orthorexia, an eating disorder best described as an obsession with eating foods that are healthy. Once known as The Blonde Vegan, Younger shared that although everything looked great to her blog readers and social media followers, she was actually “spiraling into this obsession with juice cleansing” and not fueling herself properly. Eventually, things got so bad that she decided to walk away from her brand and create a new one — The Balanced Blonde — that was more in line with her healthier way of living. “It’s so important to listen to our bodies and to heal ourselves from the inside out,” she said. During the BlogHer panel, Younger also emphasized the overwhelming support (and small amount of hate) she received during the transition, which ultimately showed her the power of sharing our stories with each other. Living a life that’s truly unfiltered means setting our own standards of beauty, and these ladies are definitely leading the charge. Watch the entire chat above.